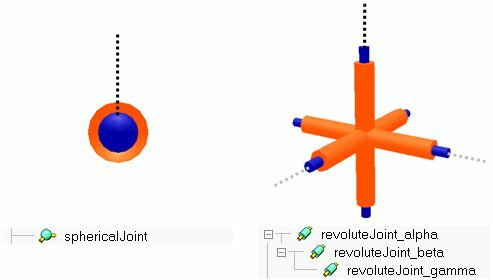 I need to create a spherical joint as a cascade of 3 revolute joints, but if I do it as explained here http://www.coppeliarobotics.com/helpFil ... iption.htm, it doesn't work, there is no way to connect 2 shapes. I tried all the control modes on the 3 the joints and almost any other setting, but nothing. Can you tell me how to do it please? if you want to do a dynamic simulation, where your shapes have mass and inertia, then you need to carefully follow the rules from this page.